Shawn, an automotive designer, enjoys an idyllic life with his new wife Jasmine until it is interrupted by a cryptic message. 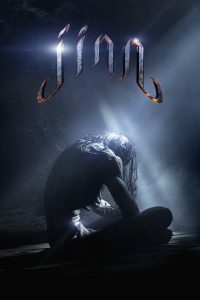 The message warns of imminent danger and a curse that has afflicted his family for generations. Having lost his parents as a child, Shawn doesn't believe this unsettling revelation of his past....until strange things start to happen. Unable to explain the threats and fearing for his life, Shawn turns to Gabriel and Father Westhoff, a mysterious duo claiming to have answers. With their help, and the aid of Ali, a shackled mental patient, Shawn discovers that there is far more to this world than he ever imagined. These revelations set Shawn on a collision course with the unknown, and he alone must find the strength protect his family and confront the ancient evil that is hunting them.